Liftgate Delievery Option: This allows the bed to be lowered to the ground when delivered. Please keep in mind that without this option you will be responsible for lowering the bed out of the delivery truck. 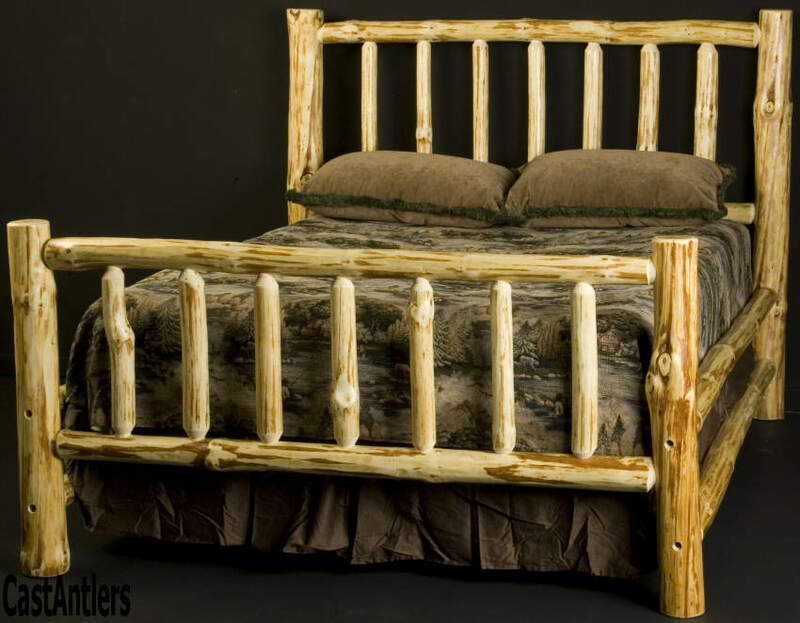 This Log Bed is one of our most rustic beds. Each piece of this bed consists of 6" and 4" diameter skip peeled logs that are mortised, tenoned, screwed and glued together. Constructed out of Norway pine, each log must be hand selected to be just the right diameter and have the right character. Skip peeled logs have more pronounced character knots and a little bit of cambium or bark left on the outside of the log. With a clear finish and available in king or queen. King Bed 89"W x 93"L 55"
Queen Bed 73"W x 93"L 55"